Owing to our reputation in industry, we offer a quality driven range of Powder Packaging Bag to our clients across the globe. Only high quality raw material is used while manufacturing the offered range, for increased compliance with international standards of quality. Apart from this, our range is offered in different specifications and can be customized, as per precise needs of our clients. Further, this range of packaging bags can be availed from us at market-leading prices. Established in the year 2011, at Morvi (Gujarat, India), we, “Gayatri Polypack Industries”, take immense pride in introducing ourselves as the leading manufacturer, exporter and supplier of best-in class PP Woven Bags, PP Packaging Bags, Woven Fabrics & Rolls, Packaging Bags, Rice Bags, Cement Bags, Flour Bags and Fertilizer Bags. Our offered plastic bags and rolls are thoroughly designed and manufactured using high grade PP, fabric and high-end technology in compliance with international quality standards. The fabric and plastic that is used to manufacture these products is procured from the reputed vendors of the market. Our offered bags and rolls are highly renowned and acclaimed among the clients for some of their striking features like flawless finish, load bearing capacity, tear resistance, precise sizes and excellent printing. 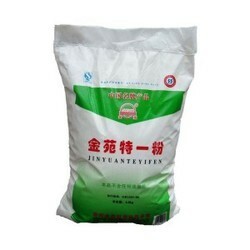 Our offered products are widely used in construction, cement and food industries for storage purposes. In addition to this, we offer our product range in various specifications as per the specific requirements of the customers.